Jive provides cloud-based phone systems and Unified Communications services. richer context and creates more efficient connections between co-workers and clients. 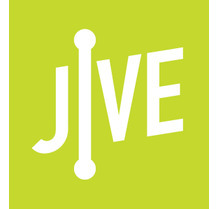 Jive the last phone system your customers will ever need. Jive delivers a range of Unified Communications products, including voice, video, contact center, and mobile applications. Jive Voice. Jive’s cloud-based phone system comes with full PBX function, admin controls, and unlimited phone features. Jive Contact Center. Advanced contact center controls and monitoring are available through Jive Contact Center. Jive Applications. Customers can access Jive services using their mobile devices, desktop computers, and web browsers. 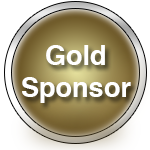 Jive is dedicated to the success of our partners. Provide your customers with the number one customer-rated Hosted VoIP system on the market. Profits. Get industry-leading residual commissions for the life of your customer. Partners can also earn significant upfront earnings as well. With Jive's dedicated partner program, you'll always get paid on time. Simplicity. Both you and your customers can use existing equipment to run Jive's Hosted VoIP service, and setup is easy and straightforward. Plus, the system is flexible enough to suit any organizations specific needs. Jive Partners get simple pricing, automatic quotes, pre-configured hardware, individual sales support, and easy setup. All contracts are monthly. Vertical Expertise. Get experts in verticals like public sector, enterprise, small business, government, and education to help you close sales. Reliability. The Jive system is built and maintained in-house, so maintenance and feature releases happen quickly. Jive Hosted VoIP is fully redundant across multiple datacenters, highly scalable, and backed by strong SLAs (4+ nines). Dedicated Support. Jive's customer support teams are stocked with U.S.-based, English-speaking Jive experts who are available 24/7 to provide a world-class customer experience. Partners also have access to sales engineers for demos and setups. Jive is consistently rated number one in customer satisfaction and sound quality. Jive’s features, U.S. technical support, and customer service are second to none. Strong Reputation. Partner with the best. Jive is the leading Hosted VoIP provider in the market. 1	jplist-folder-All-Posts-4768 Product-Literature-Product-Literature	jplist-topic-Cloud-based-Pbx jplist-topic-Cloud-based-Voice jplist-topic-Dial-Plan jplist-topic-Hosted-Pbx jplist-topic-Hosted-Voip	0	09/22/2017 14:12:21	Combine Your Communications Hardware and Phone Service in the Cloud. Jive Voice is a cloud-based PBX phone system that combines traditional PBX hardware and service into a single hosted solution. It offers all of the advanced features of an enterprise PBX system with over 80 Hosted VoIP features. 2	jplist-folder-All-Posts-4768 Product-Literature-Product-Literature	jplist-topic-Abandoned-Calls jplist-topic-Agent-Reporting jplist-topic-Average-Time-To-Answer jplist-topic-call-center jplist-topic-Call-Queues jplist-topic-Call-Reports jplist-topic-Call-Wallboards jplist-topic-Cloud-Contact-Center jplist-topic-Contact-Center	0	02/03/2017 17:10:20	Your contact center in the cloud Businesses of all types and sizes can benefit from Contact Center insights and functionality. Jive Contact Center delivers a broad set of inexpensive contact center features and valuable real-time reports to enable better management of call queues and incoming customer calls. Increase agent productivity and enhance callers’ experiences with Jive Contact Center. Your Phone System on Mobile, Desktop, and Web. 3	jplist-folder-All-Posts-4768 Product-Literature-Product-Literature	jplist-topic-Cloud jplist-topic-Cloud-Communications jplist-topic-Hosted-Pbx jplist-topic-Hosted-Voice jplist-topic-Smartphone-Apps jplist-topic-Softphones jplist-topic-Unified-Communication	0	08/17/2016 13:13:04	Your Business Phone Applications. Any Device, Any Time, Anywhere. Jive Mobile, Jive Desktop, and Jive Web are software applications that let you use Jive Voice features everywhere you need them. Enjoy flexible communication options that include talk, chat, and text.